Students go to five different stations to calculate the speed of an object/toy. 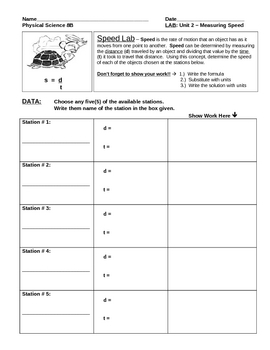 Simple two page lab. 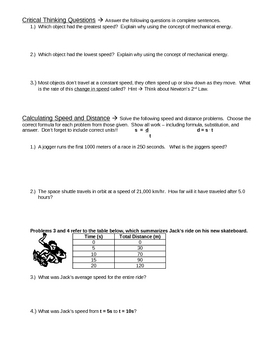 Second page has higher level questions including some about mechanical energy and more speed problems.